Each method has its pros and cons as well as specific application based on needs. We will take a look at each option individually and see which one is right for you. But before we get to that let me hit on filtering the sediment out of water first because that makes the main filter/purification system far more efficient. Why do you want to remove the sediment? First, it is less likely to clog up your water filter should you go that route. Second, it makes the water far more appetizing to drink. Killing the nasty living junk (i.e. bacteria and viruses) is the tough part; the presence of sediment just makes it tougher. Bacteria and viruses are particles as well; the smaller the particles that you can filter out means the more viruses and bacteria you are removing from the water. The better ceramic filters will remove .2 – .5 micron particles. But to be able to accomplish that the water must be able to pass through the filter. If the filter is clogged with mud, vegetation and man-made debris your filter will be far less effective, or completely ineffective, because it can’t move water through the filter. NOTE: Yeah, for you really nerdy geeks a micron is 0.00003937 inches. Yup, pretty dang small! Sediment filter – I recommend you use a sediment filter that comes with, or can be attached to, your primary water filter. For instance, with the MSR Sweetwater system there is a foot strainer that filters out the larger particles (75 micron) of vegetation, dirt, etc. The prefilter (a.k.a. foot strainer) costs about $10 if you buy it separate, but it is included with the filter system. 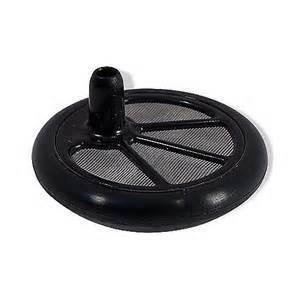 The foot strainer can be easily washed clean to remove any built-up debris. Then there is the “SiltStopper” that continues to filter out the remaining particles (5 – 10 microns) before the water passes through the main filter cartridge contained in the SweetWater filter housing. The main filter cartridge will remove up to .2 micron sized particles. Progressively smaller and smaller particles are removed from the water eventually giving fresh, clean, filtered and purified water to drink and cook with. So “why remove sediment” again? The StiltStopper housing and filter cost $20. The replacement filters for the SiltStopper costs less than $7 each. The foot strainer prefilter costs $10. Compare those costs to the main filter cartridge replacement costs of $45. 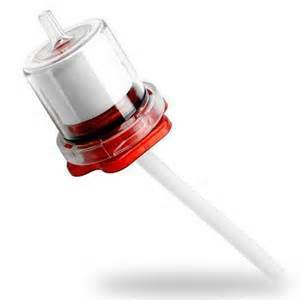 Using sediment strainers and prefilters will save you money and will allow longer life of the primary filter. That is true whether using the MSR Sweetwater system or any filtering system. 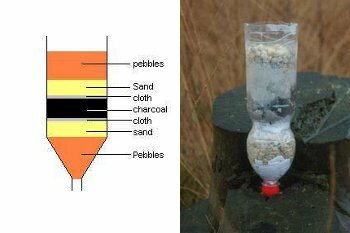 However, if you don’t have a sediment filter available you can make one, from elaborate to very basic; the key is to make it effective. The basic principle is to pass water through materials such as sand, grasses, pebbles, and cloth to remove increasingly smaller particles from the water. The result is pretty decently cleaned water. Well, far far cleaner than what you started out with. Optional – Place a layer of charcoal on top of that; 1” thick would be nice, 2” if you wish. 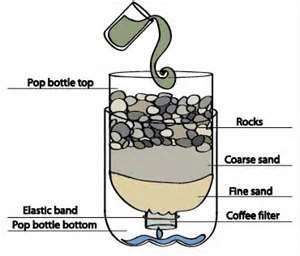 You just built a sediment filter. You just prepared the water for its real filtration and purification. With the water you just pre-filtered you then run it through your MSR Sweetwater or your Monolithic Ceramic filter. You could also use your NDuR survival straw as well and drink directly from your sediment pre-filtered water container. 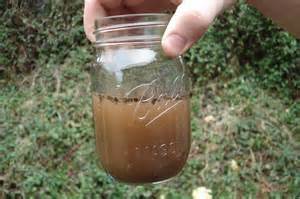 If you had no other filtration device and no chemical treatment available then drink the water you just processed. 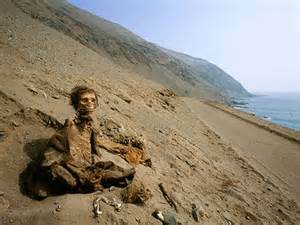 Dying of dehydration is not (and should not be) on your “to do” list when water is available to you, even if that water is not perfect. So tell me once again why go to all that trouble first? Remember – You want to remove as much of the sediment before you start using your primary filter system. The more sediment that you process through your primary filter system the sooner it clogs up or becomes contaminated and then becomes useless. All filter systems have a limited lifespan before the filter itself becomes overwhelmed and contaminated. Give your filter system a hand, give it some help, filter the sediment first.